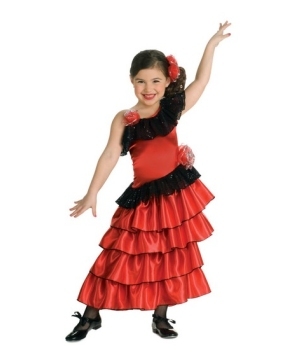 The Girls Bailadora Costume includes a yellow dress that is available in sizes Small (6), Medium (8), and Large (10). Also included is a black lace hand fan. Classic costumes have a charm of their own that is simply inimitable. If you're in the market for a similar classic costume to wear in time for Halloween or to an upcoming costume party, look no further than the Girls Bailadora Costume! With its attractive yellow color and simple yet elegant design, the costume is sure to stun everyone in its vicinity. The included black lace hand fan is just the cherry on top of the cake. 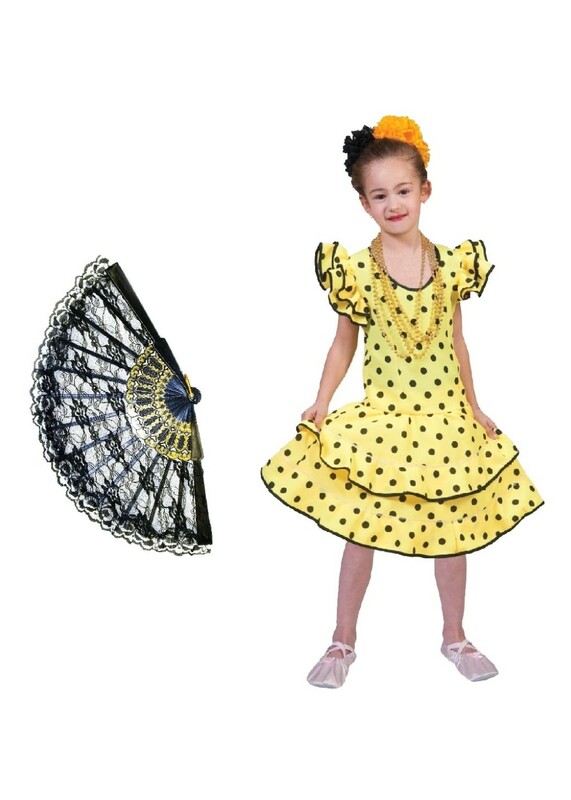 Review(s) for " Girls Yellow Flamenco Bailarina Kit Costume"